The living room is the most functional space where we spend much of our time. Undoubtedly the most significant piece of furniture in your living room is the sofa. Sofas must fit with the rest of interior of the living room with comfortable and cozy features. 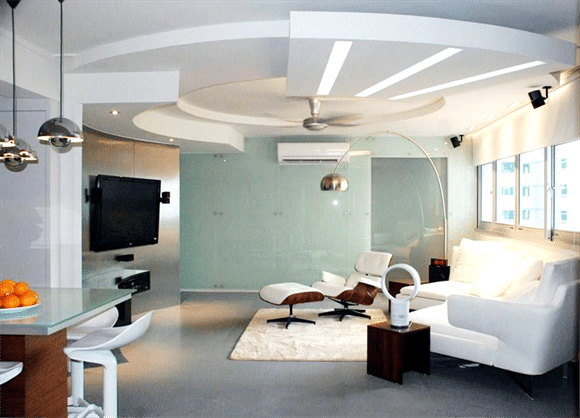 The stylish living room decorated with super trendy designs can really make your entire home stunning. The designers at Renopedia, are therefore highly eligible to make your home heaven. You can put your whole trust on them for designing your home interior. The right placements of sofas is somehow a critical task while decorating your home interior. Now you can find different sofas for your home with different functionalities. Here a Renopedia, take a look at some super stylish living room with classically elegant sofa designs, update your home with these stylish living room designs. This living room perfectly stand out with its elegant sofa, the gorgeous fur rug adds a bonus beauty to the room. The super stylish wood TV-unit bring a flawless charisma to this room designed by Fifth Avenue Interior. Incorporate your home with peaceful white accents, the black settee style sofa makes this minimal room fabulous. 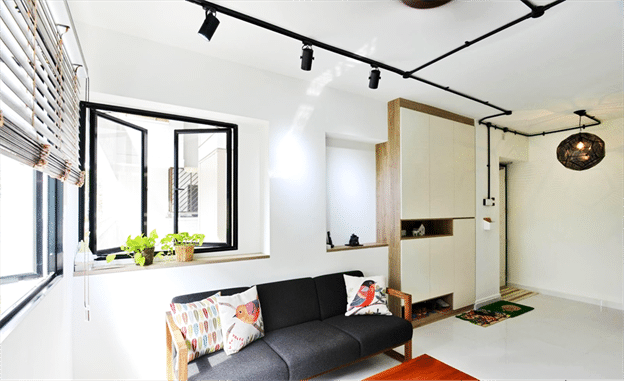 This lovely room looks flawless due to their minimal decoration. Minimalism with elegance brings your home to the next level. The exceptional style curve sofa style gives a great focal point to this room with perfectly stylish arc style lighting design, the fashionable olive green accent wall gives a charming statement to this stylish living room designed by Aiden Interior Design. 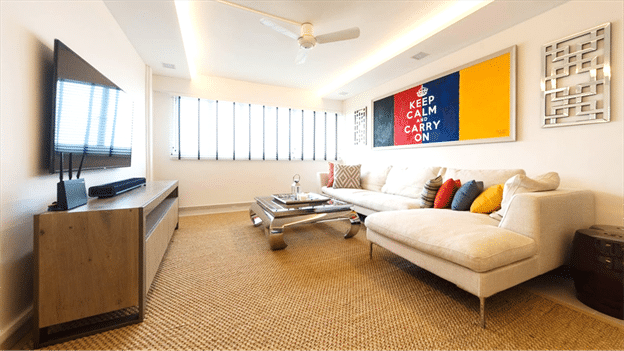 This minimal decorated room look seamless with attractive and chic L-Shaped sofa design, the colorful pillows makes this appealing sofa fabulous designed by Unity Interior Design Pte Ltd. 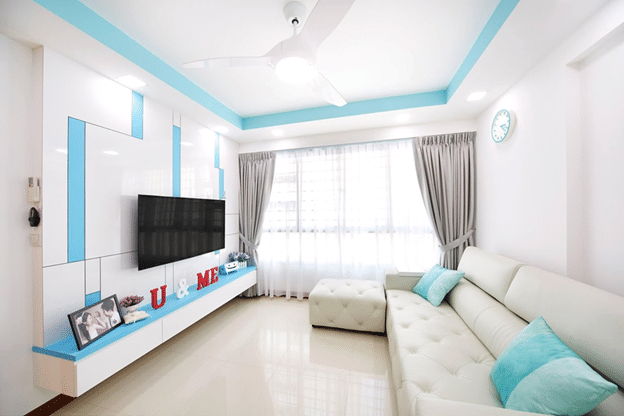 The beautiful white and blue accents bring classically cool and calm feel to the room with gorgeous white sofa, the appealing sofa design truly gives an attractive statement to this room.